You miss a payment or two – and wham! Suddenly your monthly mortgage statement is littered not only with late fees, but with a variety of new charges you have never seen before and may not understand. Among them: Your lender might be charging you for unnecessary property inspections (http://www.nolo.com/legal-encyclopedia/what-fees-can-the-lender-charge-if-im-late-mortgage-payments.html). Several mortgage lenders and servicers, including Citi Mortgage, appear to be automatically charging borrowers for inspections to make sure their homes are occupied – even if there is no reason to believe the home has been abandoned. In a growing number of class actions, homeowners say that inspection fees and other unreasonable, unauthorized fees are being tacked onto their statements automatically when they are late on payments. The mortgage companies allegedly program their computers to order the inspections after an account becomes a certain number of days past due. There is no human review or assessment of the account before the inspections are ordered, according to these lawsuits. And the inspections continue on an automated basis, sometimes as often as monthly. The property inspection fees are typically small – in the range of $10 to $15. But since they are often charged monthly, they can add up (http://www.nolo.com/legal-encyclopedia/challenging-late-other-fees-foreclosure.html). Homeowners must pay these fees in order to save their homes from foreclosure. Mortgage companies typically won’t reinstate a loan and halt the foreclosure process until all of the fees are paid, or even added to the balance of the loan. In some cases, homeowners have to pay these fees even when their homes are foreclosed. 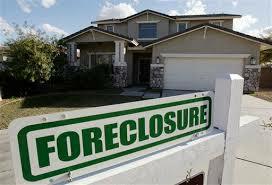 They are often deducted from the proceeds of the foreclosure sale. Property inspection fees may not be clearly identified on your statement. They may show up with a vague description such as “Delinquency Expenses” or “Default Fees,” leaving you scratching your head about where they came from. Even if the fees are properly identified, unsuspecting homeowners may not understand that the inspections are designed to determine whether the home is occupied, or that the mortgage company is not entitled to charge them for the inspections unless there is reason to believe the home has been deserted. Default-related property inspections generally work like this. After your loan account becomes delinquent by a pre-set number of days, the automated computer system orders the property inspection. The inspection is done by a third party contractor – the mortgage companies do not train and maintain their own staff of inspectors. Once the inspection is ordered, an inspector drives or walks by your home (http://www.nolo.com/legal-encyclopedia/whats-the-difference-between-home-inspection-property-inspection.html) to determine whether anyone is living there. Photos may be taken, but the inspector generally does not enter your home. Finally, the inspector sends a report to the mortgage company, which may or may not review it. Companies like Citi Mortgage say they need to order these inspections in order to protect the lender’s interest in the property. They point to paragraphs in the loan documents you signed which allow them to conduct inspections or take any reasonable steps necessary to protect the lender’s interest – and to charge you for it. But of course, property inspections are neither reasonable nor necessary to protect the lender’s interest if you are in regular contact with the mortgage company and they have no reason to suspect that you’ve moved out. Automatic inspection fees may be illegal under the laws of your state. If you have paid property inspection fees to Citi Mortgage, or don’t recognize the new fees appearing on your statement after you miss a payment or two, it might pay to investigate or talk with a lawyer.